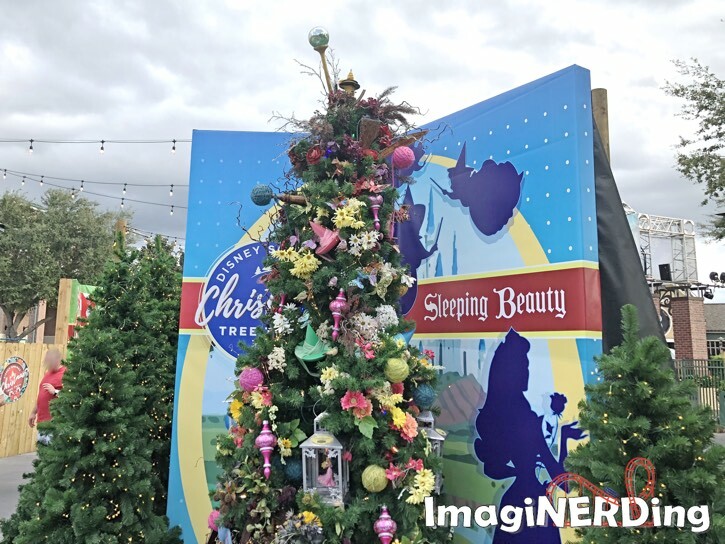 The Disney Springs Christmas Tree Trail offers over 25 different Christmas Trees near the Disney’s Days of Christmas Store. The trail is actually in the old Disney Village bus stop, which makes for an interesting layout. There are trees that represent characters, films, television shows, franchises and theme park attractions! Make sure to check out my video to see some of the different trees and how they are decorated. Yes, Virginia, there is a Haunted Mansion Christmas Tree! As you stroll through the Christmas Tree Trail, check out the special ornament that adorns each tree. 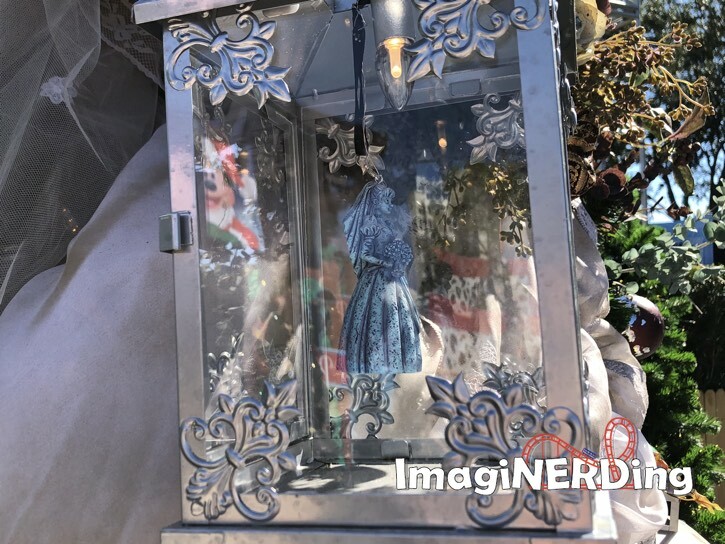 If you see what you like, you can purchase the same ornament to take home (or ship home) at Disney’s Days of Christmas, which happens to be at the exit of the Christmas Tree Trail. 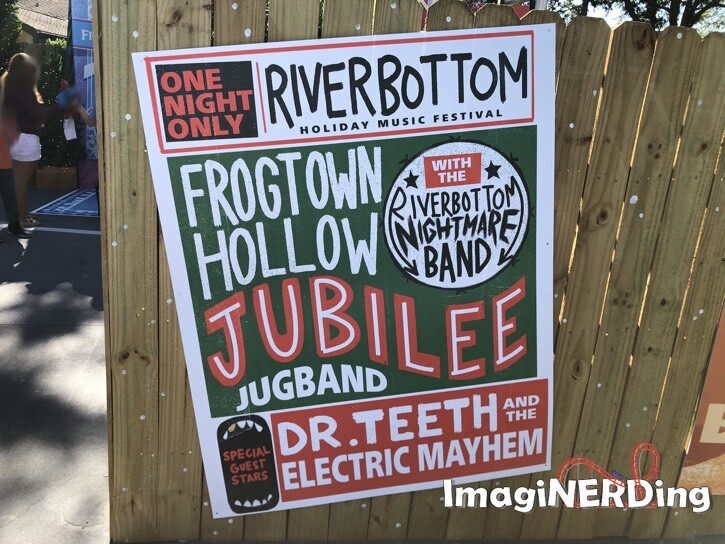 Does anyone know why this is the coolest poster on display at the Christmas Tree Trail? Make sure to keep your eyes open for the posters on the walls and the poles. There are some wonderful tributes to the animated films and theme park attractions. This imagineers are some very clever people! Have you visited the Disney Springs Christmas Tree Trail? Don’t forget to stop by my YouTube channel to subscribe and leave a comment! I post semi-weekly videos about Disney, Universal, Busch Gardens, SeaWorld Universal, theme park history, roller coasters and Disney books.